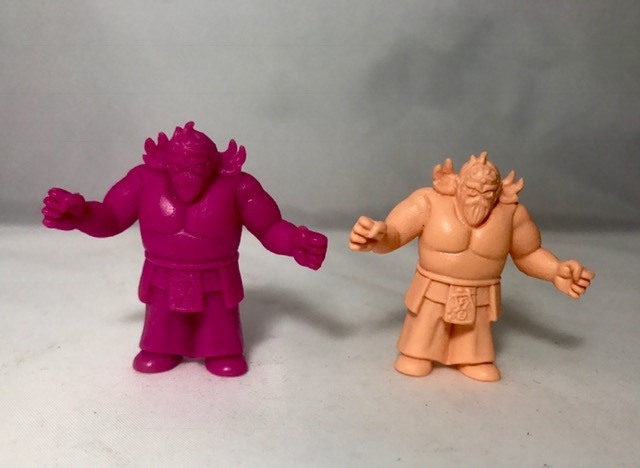 This week I’m going to dig into the enormous 29th Anniversary Kinkeshi set. 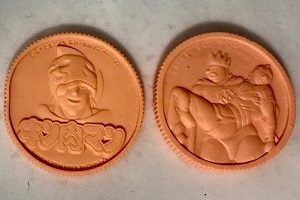 The set was released with the full cartoon series on DVD which is all in Japanese so I like many others have just purchased the 418 figure set. This set is an interesting part of my collection because I love it and hate it at the same time. Firstly the reasons I love the set. 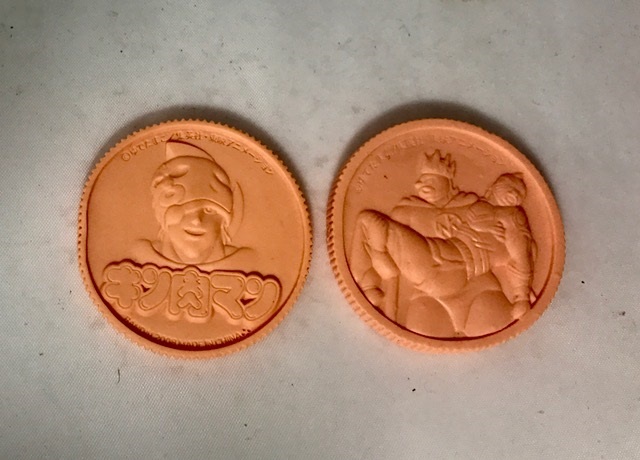 It is really the only way I’m going to own all 418 of the Kinnikuman sculpts as the later parts in the original line can be quite costly, particularly if you want them in flesh color. 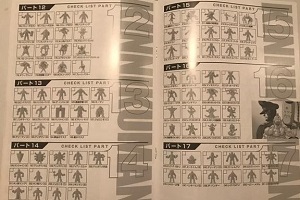 The booklet has each figure broken down by parts which also helps in M.U.S.C.L.E. 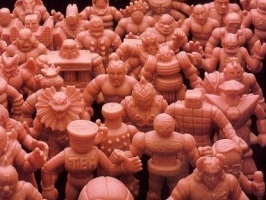 collecting as you can work out the color schemes for each M.U.S.C.L.E. Now onto the reasons I can’t stand this set. 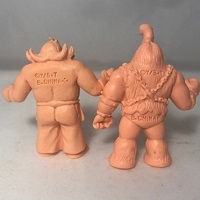 It really bugs me that the figures are smaller than their original counterparts – the fact that every figure has the stamp on the back “B.China” should be enough to be able to spot the difference between the reissue and an original without having to make them smaller as well. Also, the flesh color is certainly paler than an original figure as well. 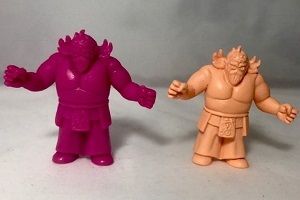 There are a heap of additional completely new sculpts that were later released that are not part of this set in addition to some of the original sculpts in red and blue color. While they are not part of the original 418 figure set, they still have the “B.China” on the back and so I have collected a few of those and added them into this box within my display. 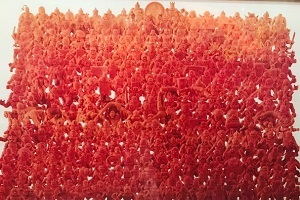 The Mammothman figure with his arms out wide pictured is one of those figures. 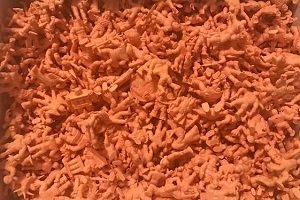 I’ve also printed out a small poster I found of all 418 figures standing in what essentially amounts to a school photo type of poster which I display next to the boxed set. If I had to do it again, I’d still buy the set though as the fact that I get all 418 sculpts outweighs the negatives I mentioned above. This entry was posted on Monday, May 8th, 2017 and is filed under UofM News. You can follow any responses to this entry through RSS 2.0. You can skip to the end and leave a response. Pinging is currently not allowed.